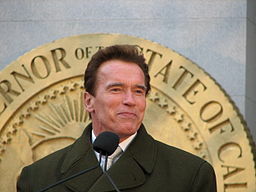 The governor of California, Arnold Schwarzenegger, reveals deep spending cuts to contain the state’s $20bn (£12.5bn) budget deficit. Spending on health, welfare, transport and the environment is to be reduced. A French study, published in the journal Analytical Chemistry, suggests the heavy eye make-up worn by ancient Egyptians such as Cleopatra may have had medical as well as aesthetic benefits. Rush Hour London from Chris Searson on Vimeo. James Cameron, 2009: On the basis of a sneak 15-minute show reel, it’s not premature to predict that this ground-breaking 3D sci-fi epic will change the way we look at movies. Lukas Moodysson, 2000: Astutely observed and delightfully delicate comic drama about a Swedish hippie commune in the Seventies. Paul Haggis, 2005: Oscar voters loved this multi-stranded depiction of contemporary LA’s combustible race politics. Apichatpong Weerasethakul, 2004: Thrill-seeking audiences rejoiced (while scratching their heads) at this mesmerising gay love story featuring soldiers adrift in Thai forests. Andrew Adamson, 2001: Charming, witty computer-generated animation fairy tale about a princess and an ogre. Hugely promising, but its sequels have fallen far short. Tony Gilroy, 2007: In this intelligent, literate thriller, George Clooney, as a disillusioned fixer at a New York law firm, did his best acting work to date, proving that he’s a movie star for the ages. Vincent Gallo, 2003: Heckled at Cannes, the decade’s most reviled film is now destined to become a future lost classic. Werner Herzog, 2005: Still fierce, still idiosyncratic, the German director’s superb documentary about two slain bear enthusiasts was riveting from first to last. Darren Aronofsky, 2008: Comeback of the decade from Mickey Rourke, in a lacerating saga of steroid overkill and trailer-trash redemption. Zacharias Kunuk, 2001: This Inuit epic with extraordinary snow chases, based on a tale 2,000 years old, was a unique achievement that lingers.